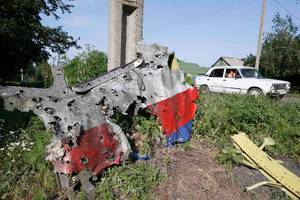 This is an excellent detailed analysis of the MH17 tragedy by the Russian Union of Engineers which quite frankly illustrates how heavily censored the Dutch “report” is. We will let you digest this report and come to your own conclusion, which in all likelihood will explain the infamous high velocity projectiles whitewash pumped out by the western “press”. A group of experts from the Russian Union of engineers was convened to analyze the situation, including reserve officers with experience in the use of anti-aircraft missile systems, as well as pilots having experience with aircraft weapons.This problem was also discussed at a meeting of the Academy of Geopolitical Problems, where many variants were tested and discussed again. In the course of their analysis the experts used materials derived from public sources, found in the media. The situation was also analyzed using a computer simulation of the Su-25. You can download the English version of the report here. The original Russian version of the report is here. Special mention, thanks and much gratitude goes to Alice, Gideon & Katya for their wonderful effort at such short notice. We have translated the text to the best of our abilities and where unsure have included the original Russian. Additionally, the original Russian report is available for download for your reference. Please distribute freely with acknowledgement.